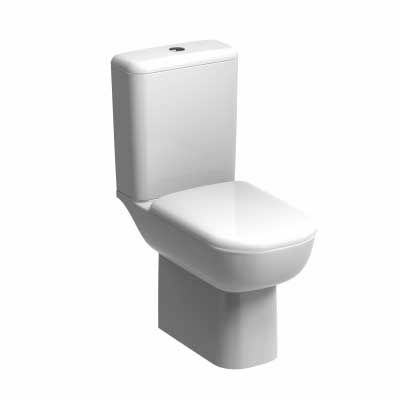 Close-coupled, rimless WC suite with horizontal outlet. 410 mm high pan for more comfortable rising. E52496WH - 4/ 2.6 L BSIO with push button. Soft close mechanism, standard hinges.